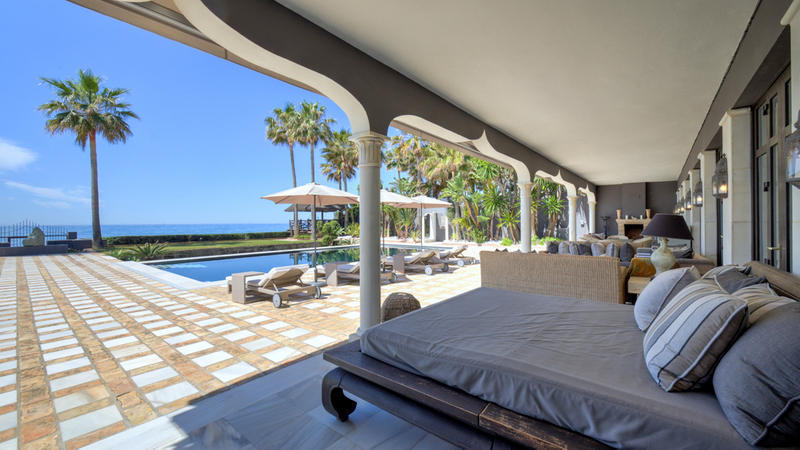 Located just 50 meters from the beach of Reserva de Los Monteros, this villa is completely new in its interiors, offers a modern design, luxury materials and finishes, is equipped with the latest technologies and home automation, has an elevator from the basement to the solarium terrace and a heated pool. The villa is located in a small gated community of 9 villas. On the garden floor a large the property comprises an open space for the living room, dining room and the American kitchen from Gaggenau including all high-end appliances. The whole area opens with large windows towards a porch with living area and summer dining area. A bedroom with its en-suite bathroom completes this level. Upstairs there are 3 en-suite bedrooms with dressing rooms. From the top floor, the roof terrace offers open views to the sea and the surrounding area. The lower floor consists of two large bedrooms with their en-suite bathrooms, one of the bedrooms is even equipped with a kitchen area, a large leisure area, a Hamam, a sauna and an additional bathroom, a guest toilet, laundry room and storage room. The property has parking space for two cars. Features: air conditioning h/c, under floor heating even in bathrooms, thermal glass, home automation system and much more. 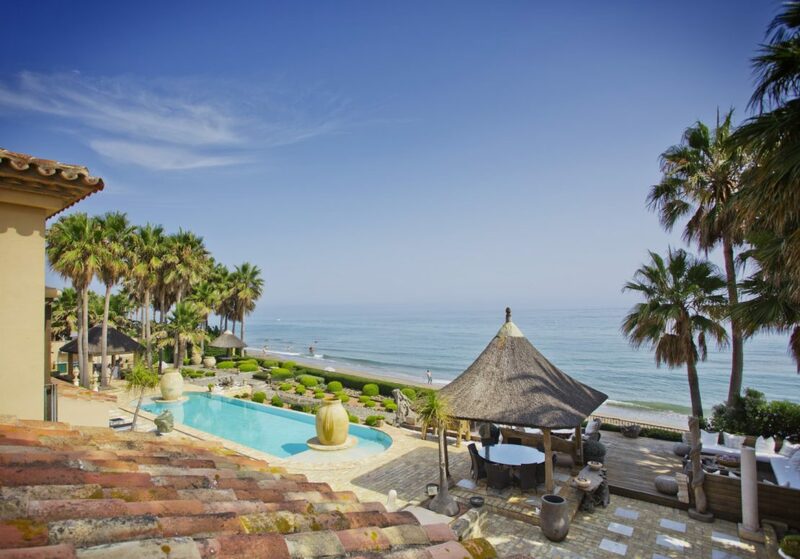 Please, send me more information about ref W-02DDB6, Villa in Los Monteros, Marbella East or similar properties.